You've got a well – a spiritual well – on the inside of you if you're a Christian. From that well, Jesus said, "living water" springs forth and becomes a fountain, "springing up into everlasting life." (John 4:14). Water is a precious commodity in Colorado and much of the Western United States. For the first few years of my married life we had a cistern for our household water. When the irrigation ditch was flowing, we hooked up the pump and ran a fat hose from the ditch to the cistern to fill it. If we got carried away with showers or dishwashing or laundry, we'd run out of water at the wrong time and have to haul it by truck from town. It wasn't the best water, either. A cup or two of bleach kept it from being too gross, but every now and then there would be a whiff of stagnant pond when we turned on the shower. Ew. When I was 10 or 11 my parents bought a piece of property and began the search for a suitable water source. They had to drill deep, so deep the well drillers told them several times to give up. Suddenly, mud and water (and the drill bit) flew out of that hole and up into the air, propelled by a powerful flow of water from deep below the surface of the earth. They had more than just a well, and definitely more than a cistern, they had a fountain on that land. Cisterns have to be filled by hand, and they can crack or leak. Wells can go dry or be stopped up. But a fountain keeps flowing, like a river. You can't stop up a fountain. Feeling stopped up? Going through a dry spell? The enemy of your soul has probably connived a way to plug up your well ... or at least convince you your well is stopped up. Don't fret. There's a fountain on the inside of you, and it doesn't take much to let it loose. Praise. Pray. Speak the Word. Just a little action on your part is all it takes to loosen things up and blow the enemy and his oppression right out of your life. 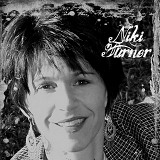 About the Author: Niki writes fiction, blog posts, articles in the local newspaper, grocery lists, and Facebook status updates. She can be found at her own blog, In Truer Ink, in addition to posting here and at The Pastor's Wife Speaks. She was a 2009 finalist in the Faith, Hope, and Love "Touched by Love" contest. you took me back to my youth. We had a cistern under our kitchen. I used to play with the switch on the downspout that diverted water from the cistern to flow out and away from the house. And we had a well. when you took the top off the well and looked in there... you'd wonder how anyone would be happy with drinking well water. The smell went from sweet to sulphur to chlorine. oh well. oops. I heartily agree that we have an enemy who'd like to stop us up. Nice to know we have a friend who'll blow that enemy high into the sky when he's messed with us for too long! Heheheh... I'm SO glad to be back on a well. We have an aquifer under our property and have fabulous water. The town water here smells like bleach! I can't imagine having a cistern. We had well water for a few years when I was a kid. Even the ice cubes smelled and tasted gross. Of course, the pipes that bring it to us are under the bridge, so if something ever happened, we'd be in a little trouble. Around here its the deer pee that messes with the water. The town puts out a boil order at least once a year for giardia. Ew.